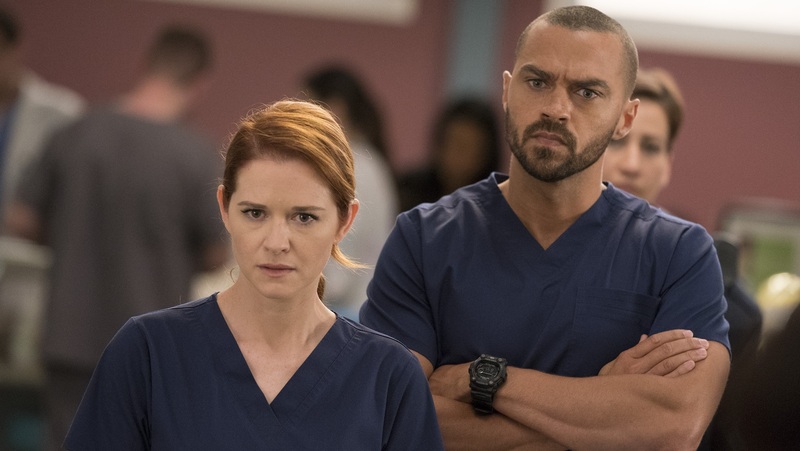 Actor Sarah Drew’s time on Grey’s Anatomy is nearly done, and she’s posting photos from her final days of filming. Folks, we are so not OK. Drew confirmed she would be leaving at the end of Season 14, and the finale will air on Thursday, so we know our time with Dr. April Kepner is very limited. The final episodes of Season 14 are that much more intense to watch because any scene with April in it feels like an especially meaningful, important moment. What’s more meaningful, though, are the emotional behind-the-scenes photos that Drew posted on her Instagram after last Thursday’s episode, “Cold as Ice,” aired. The penultimate episode of Season 14 was a bit nerve-racking for April fans because the beloved doctor was truly put through the wringer. Coming close to death after being involved in a horrendous car accident, April was brought back to life by her Grey Sloan colleagues through the magic of science and some silent prayers. After all that, and knowing Drew only has one more episode left, her behind-the-scenes photos had us extra emotional. First, she posted this adorable selfie of her and Dr. Jackson Avery Jesse Williams, just hanging out on one of the show’s hospital beds. Can somebody please hand us some tissues? This is already way too much to handle! Seeing all of these behind-the-scenes photos of Drew with her Grey’s castmates feels like the emotional preamble we needed to help us get through the Season 14 finale. These photos — while much appreciated — highlight just how strong a bond Drew formed with her costars over the years and just how dearly she’ll be missed when she’s officially gone.